H. Ben Levy joined the firm in 1988 and specializes in civil litigation. Attorney Levy graduated from Arizona State University in 1985. He received his law degree from Marquette University in 1988. He is admitted to practice before the Wisconsin circuit and appellate courts and the Federal District Court of the Eastern District of Wisconsin. 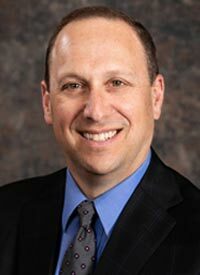 Attorney Levy is a member of the State Bar of Wisconsin and past president of the Ozaukee County Bar Association. Attorney Levy has achieved an AV Preeminent™ rating by Martindale-Hubbell, which is the highest rating possible and "a testament to the fact that a lawyer's peers rank him or her at the highest level of professional excellence." He was recognized by the Business Journal as one of Milwaukee’s Forty Under 40 business and community leaders; and was selected to serve on the 3 person committee to write the civil rules for Ozaukee County courts with the Honorable Sandy Williams. He is also a member of the Wisconsin Defense Counsel. In addition to his law practice, Attorney Levy is the past president of the Greater Cedarburg Foundation; served on the Cedarburg Chamber of Commerce Board as President for 2 years; was Chairman of the Cedarburg-Grafton Chapter of Ducks Unlimited; served as President of Forward Cedarburg, Cedarburg’s Economic Development Board; and serves on Ozaukee Family Services Advisory Board. He has been a volunteer teacher in the Junior Achievement program and has coached youth basketball for years. He is currently a member of the Cedarburg-Grafton Rotary Club; served as the Chairman for the Tourism, Promotion and Development Committee for the Cedarburg Chamber of Commerce; and served on the Community Scholarship Endowment Board.